As Digital Marketing Manager for VisitPITTSBURGH, she manages the organization's digital content including the website, blog, and social media, with the intent of showcasing Pittsburgh as an innovative and evolving destination for leisure and convention travelers alike. Molly is also a licensed, master's level social worker with a passion for working toward equality in all its forms. Formerly, Molly was the Community Relations Associate at Center for Victims, the most comprehensive and inclusive provider of services, advocacy and education for victims of all crimes in Allegheny County. 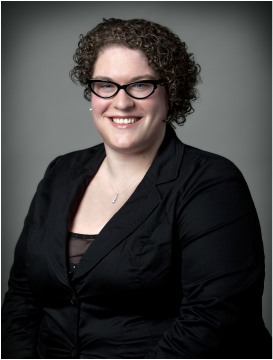 A graduate of The University of Pittsburgh School of Social Work in 2011, Molly has extensive knowledge of, and experience with, many areas of nonprofit management. Her specific area of interest is public and media relations, marketing, digital and social media, grant writing, event planning, and donor development. Molly is an up-and-coming leader in the Pittsburgh community. A current participant of Leadership Pittsburgh's Leadership Development Initiative cohort and a member of the United Way of Southwestern Pennsylvania's TOGETHER Leading Program, Molly is interested in increasing her leadership skills and working with and learning from diverse women. Her passion for working to enhance the lives of women in Southwestern Pa was fueled by her time learning about the barriers facing women in the Coro Pittsburgh Women in Leadership program. Molly sits on the board of several organizations, including the Sisters Place Friends Board, the School of Social Work Alumni Council, and the Allegheny County Dignity and Respect Campaign. She also volunteers with the United Way, enjoys fostering dogs through local animal rescues, and facilitating Restorative Justice conversations through a program with juvenile offenders. Molly lives in Churchill with her husband and their three rescue dogs.